What is Archived Chat on WhatsApp? Open WhatsApp Messenger on your Android or iPhone device. Select a message that you want to archive and tap and hold onto it. Select archive icon to archive message. You will see all archived messages via tapping on “Archived Messages” text where is located at the bottom of chat feed of WhatsApp. You can find archived chats at the top of chats on iPhones and on iOS devices. You will find many useful guides on this page to resolve your issues. 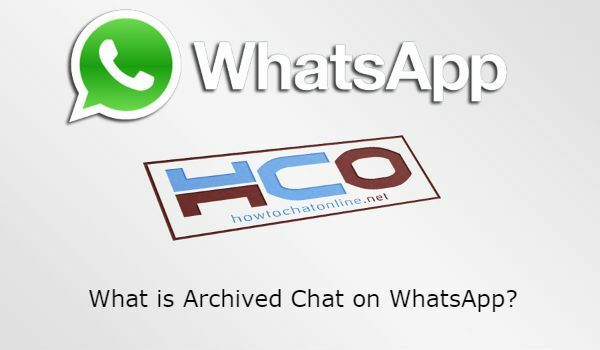 What is Archived Chat on WhatsApp and Why They are Needed? Do You Lose Messages When You Archive a Chat? How to Unarchive a Chat? When you use the application near of your friends or family, sometimes we don’t want them to see some chats on our devices. Archive is helping us about about security and privacy. This will give you more privacy in public usage of your phone. So you will hide your chat from prying eyes. No, you don’t lose any messages when you archive a chat on your device. You will able to get back all your conversations when you need them. You can also see all messages while they are even in archive list. If you have any questions regarding to this, please ask us. Swipe down until you see the “Archived chats” text. Select and hold on the chat that you want to unarchive. Tap on “Unarchive” icon to get your message back to the feed. ← How to Hide a Chat on WhatsApp?